Wang Xi, one of the worlds best defenders, demands first and foremost that his blade gives him fine touch and precise ball placement. The Wang Xi Dotec Control provides this and much more. The blade has all the proven qualities of the DOTEC series with a very light weight handle plus now available with a straight handle which makes it easier for defenders to twiddle from smooth rubber to pimples! 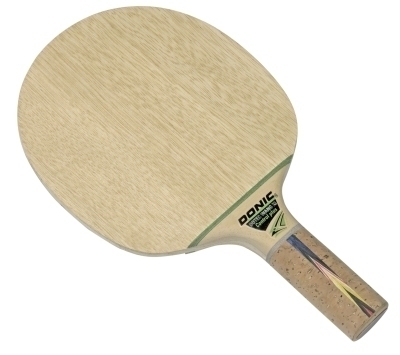 The blade provides fantastic feeling for defenders but also reserves of speed for counter attacks. Handle: Straight, right handed and left handed. Elasticity: nearly stiff.